Welcome to the official website for St. Louis Patriots Homeschool Boys Basketball. 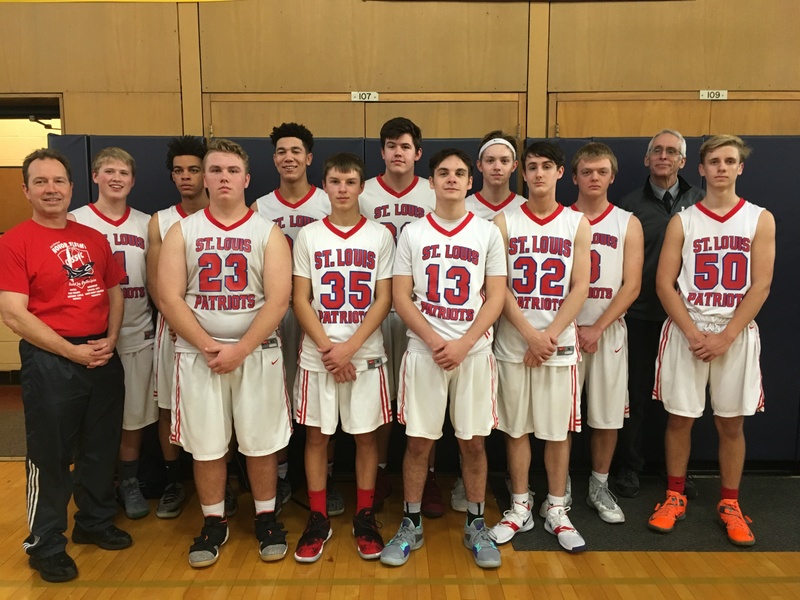 The original St. Louis Patriots Homeschool Boys Basketball Program, as started in 2002, is made up of Christian homeschooled boys in grades 5-12 from the greater St. Louis area. The Patriot squads play Middle School, Jr. High, Freshman, Junior Varsity, and Varsity teams from private, Christian, independent, public, and other homeschool programs in Illinois and the greater St. Louis area. Our team is unequivocally Christian in its conduct, practice, and attitude. Our desire is to represent the Lord in all that we do, both on and off the court. Our hope is that our actions and demeanor will speak louder than the words on this page. 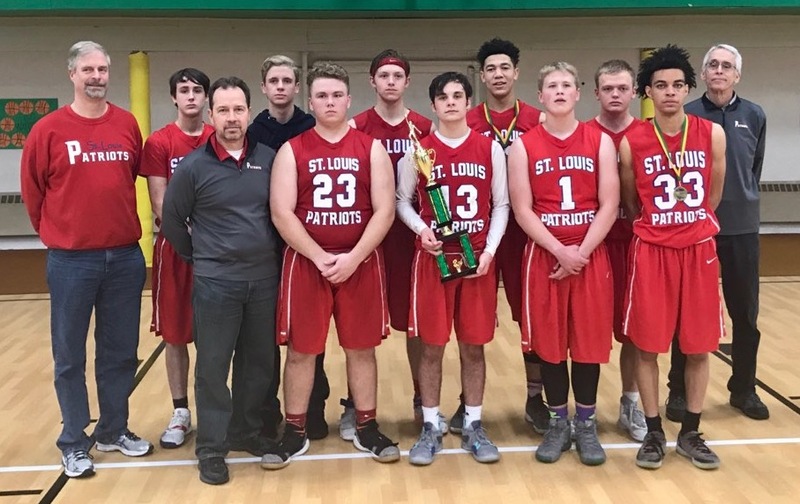 The St. Louis Patriots Boys Basketball Team welcomes any inquiries from prospective players and from teams interested in scheduling one or more games and/or tournaments with us. Please contact Judy Maichel, our schedule coordinator, at (314) 352-1319 if your team is interested in scheduling a game. You can also contact Judy by e-mail, just look for her email address under the 'Contact Us' menu. Thanks for your support and we look forward to your joining us in the excitement, competition and overall great family-based activity that is: St. Louis Patriots basketball! Freshmen Take 3rd Place in State Tournament! Congratulations to the Freshmen squad for taking 3rd place in the State Tournament! Varsity Takes 2nd Place in Mississippi Valley Tournament! Varsity Takes 3rd Place in Calvary Lutheran Tournament! Congratulations to the Varsity squad for taking 3rd place in the Calvary Lutheran Tournament! Kase Kilchrist and Nathan Duchene were selected to the All-Tournament Team. 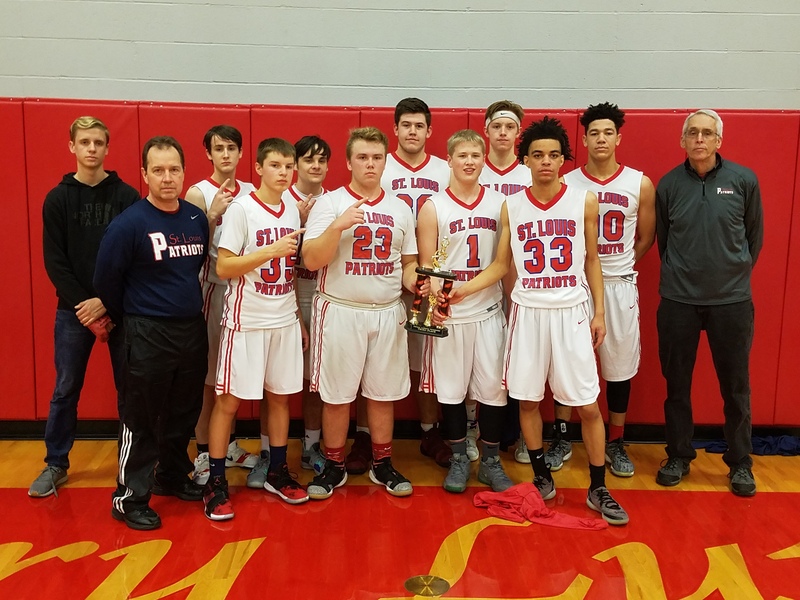 Varsity won the consolation championship in the Suntrup Auto Grandview Christmas Tournament. Jacob Witaschek was high-scorer in the tournament (65 points) and was a unanimous selection to the All-Tournament Team. Varsity Takes 3rd Place in Principia Honor Flight Classic! Congratulations to the Varsity squad for winning 3rd place in the Principia Honor Flight Classic at Principia High School! Kase Kilchrist was selected to the All-Tournament team.